A calculation is made of the effect of gravity waves on the observed Doppler shift of a sinusoidal electromagnetic signal transmitted to, and transponded from, a distant spacecraft. 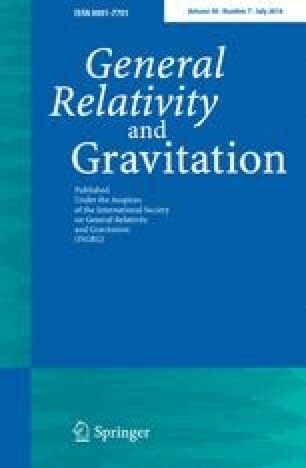 We find that the effect of plane gravity waves on such observations is not intuitively immediate and in fact can have surprisingly different spectral signatures for different spacecraft directions and distances. We suggest the possibility of detecting such plane waves by simultaneous coherent Doppler tracking of several spacecraft. This paper presents the results of one phase of research carried out at the Jet Propulsion Laboratory, California Institute of Technology, under Contract No. NAS7-100, sponsored by the National Aeronautics and Space Administration.